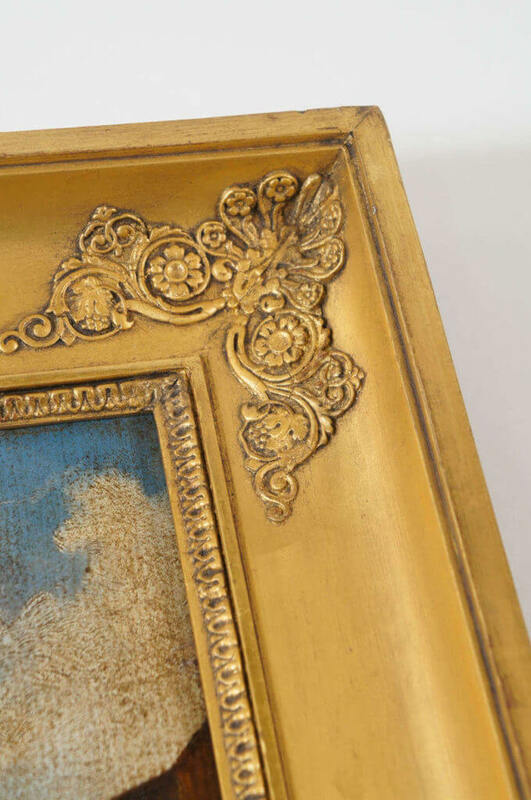 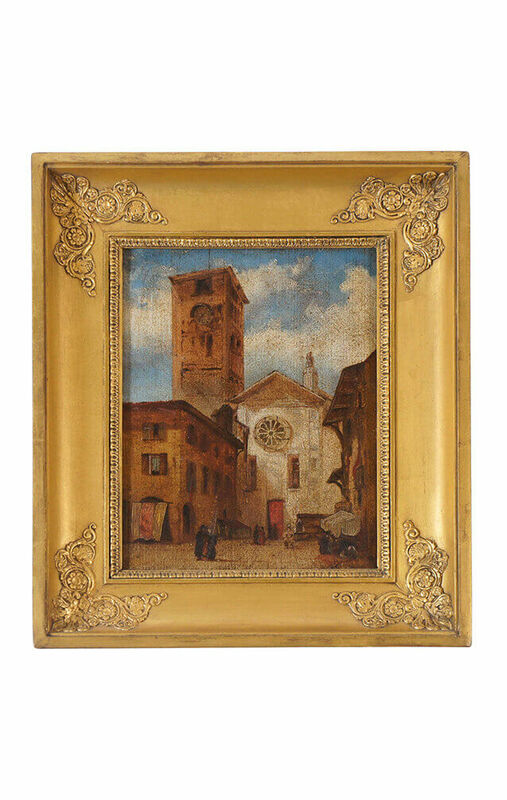 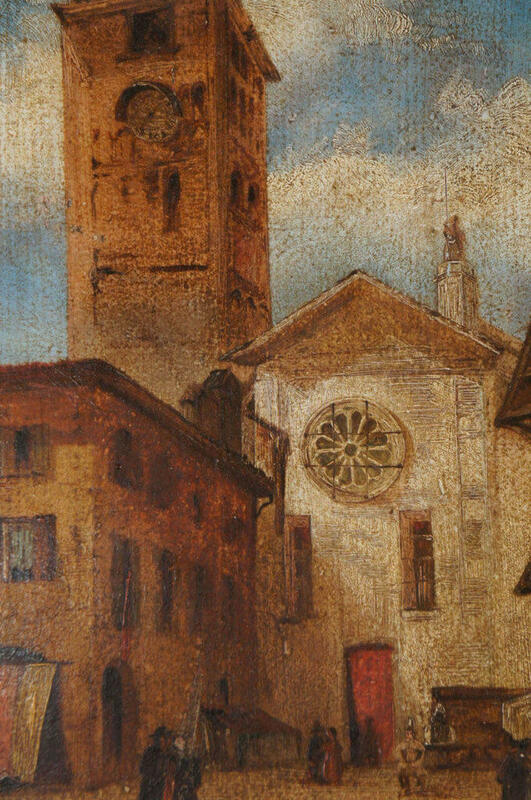 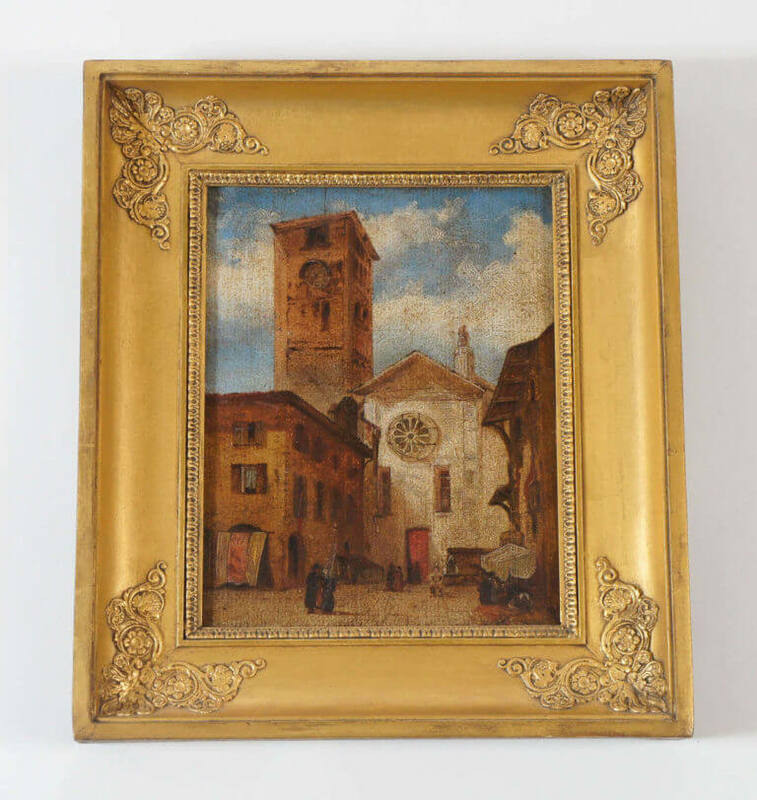 Exquisite c. 1820 Italian Grand Tour oil painting on card of an architectural vignette in original Empire gilt frame. 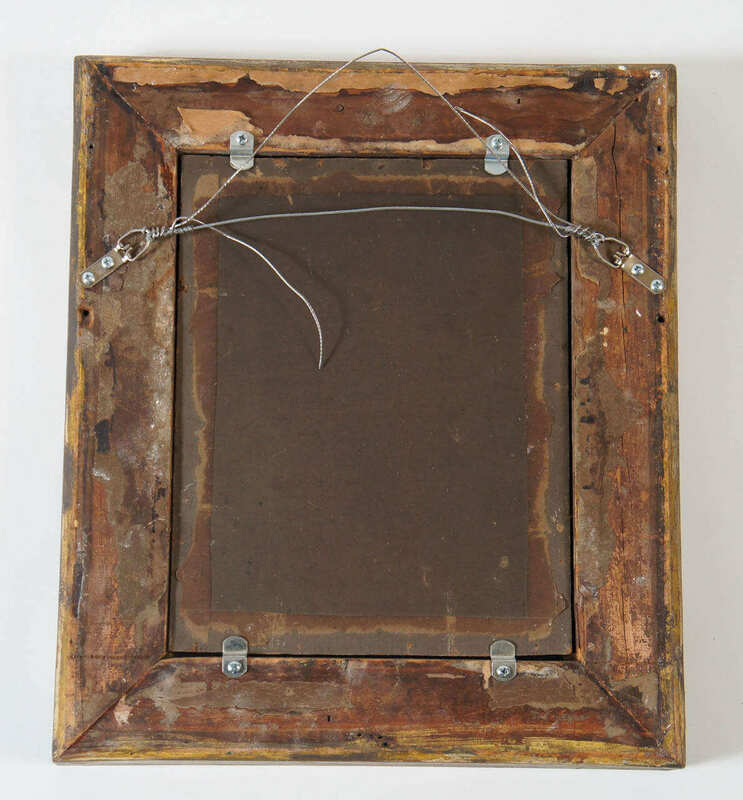 Measurements given are overall. Wonderful piece.